Hanson launches beer brand: Mmmhops. Who’s Hanson? Hanson serves up its own brew, Mmmhops, as the group gets ready to release its sixth album, ‘Anthem,’ June 18 and tour in support of it in the fall. 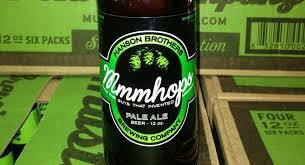 Pop-rock trio Hanson is raising a toast to its 21st anniversary by launching its own beer, Mmmhops. The Oklahoma band partnered with craft beer company Mustang Brewing to create the drink, which will make its debut this fall when the brothers go out on tour. 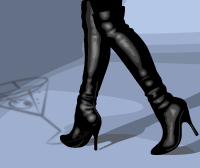 Their sixth studio album, Anthem, is due June 18. Hanson shared the first taste of the beer with those attending last week’s Los Angeles premiere of The Hangover Part III. Its Grammy-nominated 1997 classic MMMBop is featured in the movie and inspired the beer’s name. The band moved up the release plans in response to the devastating tornadoes in the brothers’ home state last week. On Monday’s Good Morning America, they announced that several Mmmhops-related merchandise items are now available for sale, with all proceeds being donated to the Red Cross to aid in the disaster relief efforts.